Can be reconfigured through the infared port on the side. Complies with the 2010 American Heart Association Guidelines. Available with a prescription. This is a compact, lightweight and DURABLE AED. I would highly recommend it for all sites and locations. 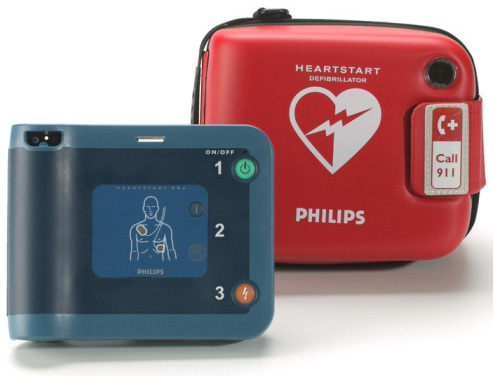 Click the button below to add the Philips HeartStart FRx AED to your wish list.